Hello everybody! Today, since it is the 27th December- that weird day when it is officially no longer Christmas but festive stuff is still sort of happening- I’m going to do something sort of festive (because there’s just something Christmassy about Harry Potter) and sort of not, the Harry Potter Spells Tag, which I found ages ago on Charlotte Somewhere and have been planning to do ever since! Onto the post! Today, I’m going to be talking about some characters I don’t like much at all from books I like quite a bit, which was inspired by a Top Ten Tuesday from a few months ago on the opposite theme. Onto the post! Cassie from the Upiside of Unrequited– Cassie was so selfish, and often very mean to Molly, and I just wasn’t a fan. I felt like the minute she was in a relationship she started behaving as though she was better than her sister and didn’t have time for her anymore, and therefore I didn’t have time for Cassie. Mia from All About Mia– I think I only gave this 3.5 stars, but I did enjoy a lot about it and it was only Mia herself that brought down my rating. I couldn’t understand a lot of decisions she made, and I didn’t like the way she treated her family and friends. She did grow on me a little towards the end when she bonded with her sisters more though, in fairness. Riley from Hope– Riley is the love interest in this book, and I couldn’t get behind him and Hope as a couple at all. He reminded me of people I don’t really like in real life, and as such I couldn’t warm to him at all, and I mainly just found him annoying. I loved the book so much otherwise though, so if you pick up any of these books, please make it this one. Compared to the Upside of Unrequited, which is my other favourite of these, it’s recieved barely any attention and it deserves way more readers than it’s had. And I’d love to know if you share my thoughts on Riley when you do read it! Hagrid from Harry Potter– I’m aware this will be quite a controversial entry, but I’m not fussed on Hagrid. I don’t think he ever did anything maliciously, I do think his heart was always in the right place, but he made some bizarre decisions that affected a lot of people, and I quite often found him overly dramatic in the way he reacted to things. There are some exceptions, such as Buckbeak’s execution, but other than those it felt like he was making many mountains out of molehills. I also don’t think he should have been allowed to teach; Professor Grubbly-Plank didn’t really get developed as a character much but I did like that she actually taught her class practical things, with the difference being she bore safety in mind. That said, the hippogriff situation was Draco’s fault mainly, so I don’t hold that against him too much! Which characters are you not keen on from books you enjoyed? Do we have any in common? Let me know in the comments or on Twitter @GoldenBooksGirl! Welcome to day 5 of blogmas! To celebrate the fact that there are now only 20 days till the Day itself, I have a guest post from my lovely friend Layla about the Christmas gifts she’d choose from the wizarding world. Hope you love this as much as I did! I know that everyone goes on about having a Firebolt – it is the fastest broom – but there’s something about the sleek, dark design of the Nimbus 2001 that would seem like an absolute dream. An unlimited supply of Fizzing Whizbees. These would be, without a doubt, my favourite wizarding world sweet. When the films first came out, there was a line of real life sweets that these were included in and they were so. Damn. GOOD. I would love to have them just once more, but to ask for an unlimited supply from the wizarding world will have to do! Pygmy Puffs are adorable. They don’t seem as naughty as Nifflers, and I already have a cat, so I think I’ll go for a little purple ball of fluff with a face and call it a cute name. There you have it – my Christmas wishlist from the Wizarding World! 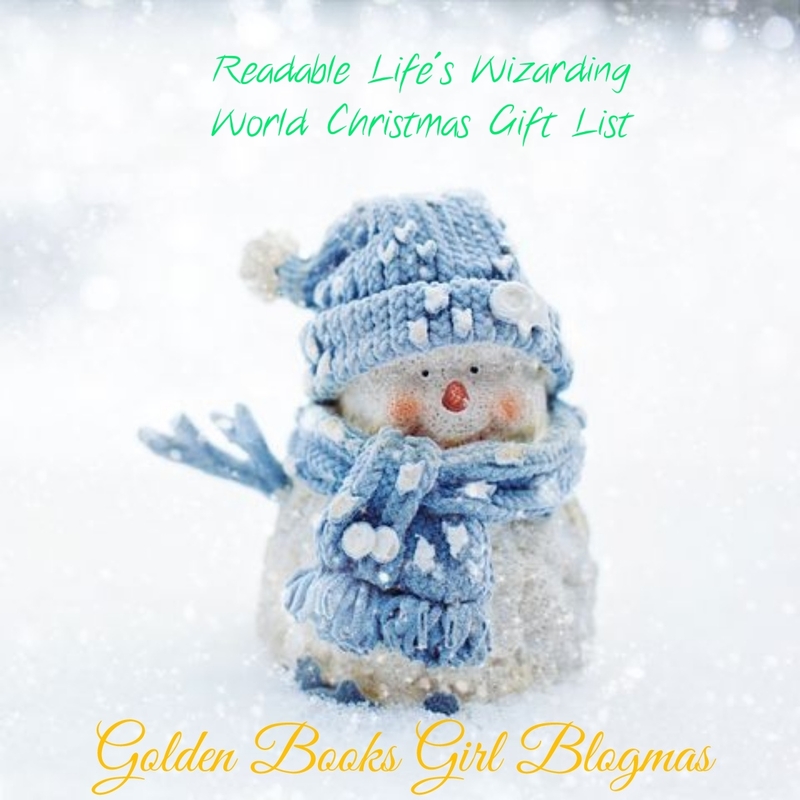 I hope I’ve inspired you to think of your own list – why not write one on your blog using the tag Wizarding World Christmas or tell us down in the comments or on Twitter @GoldenBooksGirl and @readablelife? I’d LOVE to see your lists! I’ll see you next time! Come visit my blog sometime, you might even find something nice there! Today I’m writing another post for the fantastic Harry Potter of the Week meme, hosted at Lunar Rainbows. Today’s prompt is to write about which character you’d save from death (which does mean that there will be SPOILERS, so please don’t read on if you haven’t read the series and you want to). 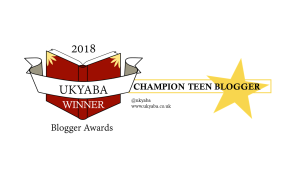 I was very excited to discover the Harry Potter Moment of the Week meme (hosted at Lunar Rainbows Reviews) recently, and even more excited to write my first post for it, which is about my favourite quote from the 5th book, which I absolutely love.